Is Lady Luck in the air for you? Then cross your fingers and get in on the action with the Lucky Charms Bingo Tournament now playing at South Beach Bingo! Join the fun from October 1st to October 7th to be in with a chance of winning up to $2,000 in cash prizes. Simply deposit a cumulative $50 per day during the tourney time frame and we’ll be awarding one point for every $1 wagered on bingo and all slots, or play selected slots to receive two points for every $1 wagered! It’s time to get lucky with cash prizes to be won, including a first prize of $2,000, second prize of $500 and third prize of $300! Will October be your lucky month? You’ll have to take part in THE Lucky Charms online bingo Tournament to find out! Come on a journey down under to the South Beach Bingo brand new bonza Australia Day Bingo Room. This offers Aussie-themed fun with a host of amazing games and prizes! There you’ll find such benefits as $2,600 coveralls, $260 fixed prize games, $1,260 to $2600 variable prize games, and the Waterfall pattern that comes with a $1,260 prize on every 10th call with 48 max cards at a price of $2.60 a card. This all new bingo room is open between the 23rd and 31st January from 8AM to 9AM AEDT and 9PM to 10PM AEDT each day, so crack open a cold one and join us by the barbie! Join the online bingo fun while it lasts at Bingo Australia. We’re sure you’ll be over the moon to hear about this Grand Million Dollar New Moon Bingo Party! There’s plenty going on to justify its mouthful of a moniker, with games galore, plentiful prizes and pots of up to $200,000 to play for, so join South Beach Bingo on September 20th as we go loony for this lunar event! Join the party this week at South Beach Bingo. Daub the cards and spin the reels to win this great prize on four wheels in the Spring Bingo Fiesta! If you’re thinking party, South Beach Bingo have prepared a whole month of fun and games. If you’re thinking car, then you are right again, cause this is what you can win by the end of April! Enter the tournament with a $50 deposit, start playing your favorite games and win points, 1 for every $1 wagered in the bingo rooms and every $10 wagered on slot games at South Beach Bingo. The top 5 players each day will be invited to a special event that takes place in the Fair&Square Room on April 30th. Be there and get behind the wheel of your very own Ford Fiesta just for playing online bingo games! Play in the South Beach Bingo crazy car chase rooms in August and win the most games to make it to the final room. Only the top 40 players make it to the big final. The winner of the most games at the end of the final room will win the grand prize of a brand new Nissan Versa Sedan. There can be only one winner – good luck! You can play in the game rooms every day in August. The more you play, the more you can win. Miss a game and you might miss out on the chance to win the big prize! Play and win as many games as you can. You need to be ranked in the top 160 players to go through to the next round! There are 4 different rooms in this round. If you are in the top 40 you get to play absolutely free! The higher you rank, the less you have to pay to play. You’re now competing for the 40 places in the final so make sure you’re ready to play for the chance to win the brand new Nissan Versa Sedan from South Beach Bingo. The Big Final is here! Congratulations if you’ve made it this far. The top 40 players will now compete for the big prize in the Final online bingo room. At the end of this round, the winner of the most games over the whole tournament will win the NISSAN VERSA SEDAN! Have it your way with an Apple each day when you join in the South Beach Bingo One Apple a Day Giveaway! April showers may bring May flowers, but this April South Beach is bringing you the chance to win the cutting-edge iPhones and iPads you love! There are 4 x Apple iPhone 6s GOLD and 26 x Apple iPads up for grabs over the next 30 days. The One Apple A Day Giveaway is hosted for the entire month from April 1st through April 30th and South Beach Bingo is giving away one special prize each day! 3 – Win the prize of the day! Good luck and we will see you at South Beach Bingo for the One Apple a Day Giveaway. Reverse the odds in your favor by joining the South Beach Bingo newest Bingo Reverse Coveralls tournament! 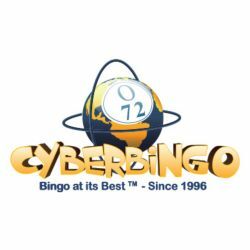 From January 25th to January 31st you have the unique opportunity to play the most exciting reverse coverall online bingo games and increase your rewards with every ‘bingo’ call you make! Pre-buy your cards now and get ready to stack up some serious cash piles! Good Luck in the South Beach Bingo Reverse Coveralls Tournament!